The Falcon 9 vehicle will be launching on its maiden voyage soon. To set expectations, historically, few launch vehicles work perfectly on their first attempt. Typically it takes a number of launches to get these complex systems working perfectly. 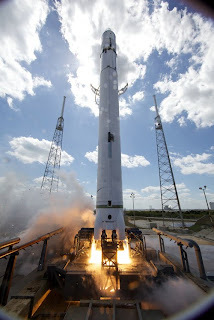 So while a launch success for Falcon-9 on the first attempt would be fantastic, the media, general public and the space community should recognize that it may take two or three attempts to successfully reach orbit (as in the case of Falcon-1). In the final result what matters is the Falcon-9 can, and will, eventually work and bring about a much needed, much –lower price-point for launch humans and payloads to orbit from the U.S. I for one am thankful to Elon and his team for the commitment, capital and risks it took to take Falcon-9 this far. On behalf of the X PRIZE Foundation, I wish my friend and X PRIZE Trustee Elon Musk, and his entire SpaceX team, the best of luck on this first attempt.